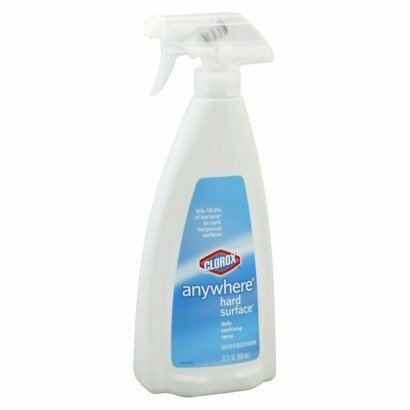 Hard surface sanitizing spray for wiping down surfaces/objects throughout the day - use on cutting boards, baby toys, high chair trays any hard surface for sanitizing results. 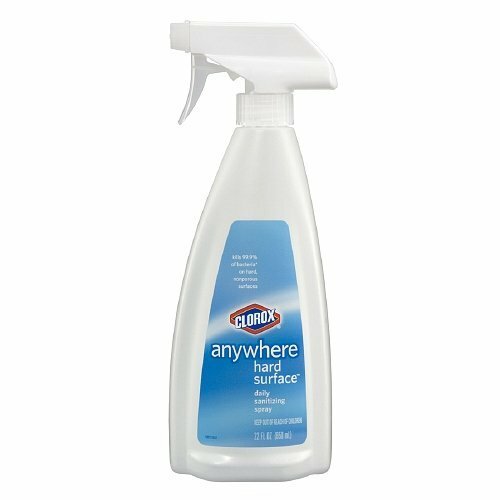 Can a spray be both gentle and powerful? Turns out, you can have it all. 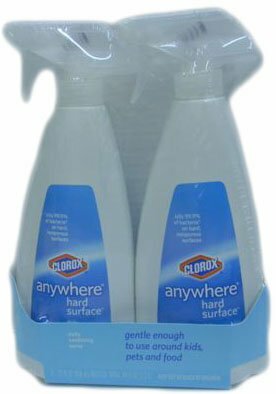 Clorox® Anywhere® Hard SurfaceTM Daily Sanitizing Spray pulls it off nicely - powerful enough to kill 99.9% of germs on surfaces in your home and gentle enough to use around your kids, pets and food. 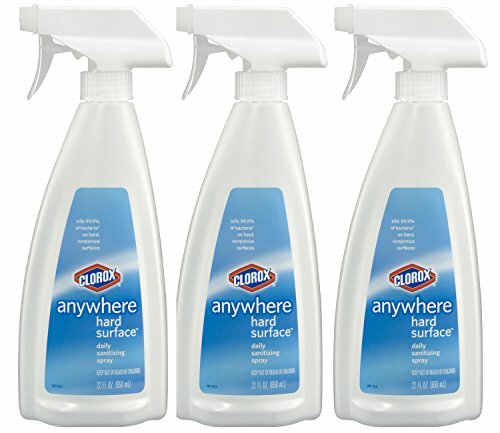 Doesn't even leave behind harmful residues or fumes.